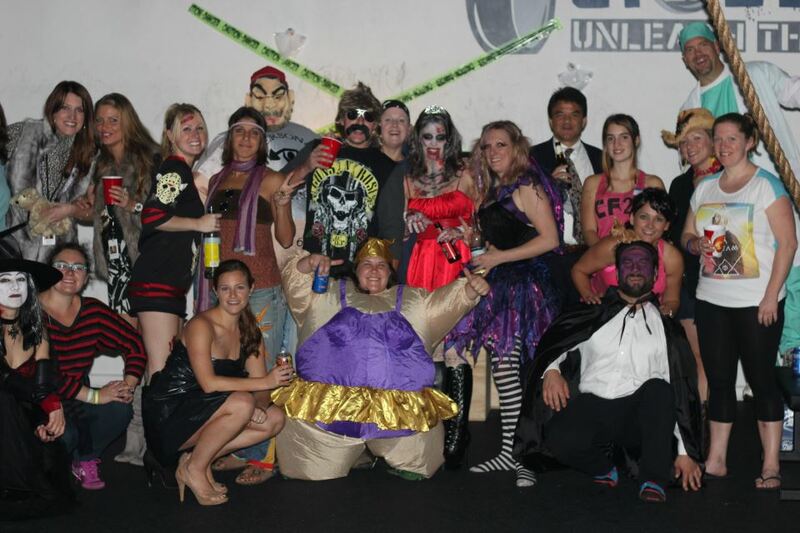 Last week ended with the Halloween party at Crossfit 2A. It was a great party (hopefully the first annual) and we even got a short workout in. Monday was put on hold thanks to the far reaching impact of Hurricane Sandy. Tuesday was great fun with a really crowded lunchtime class. 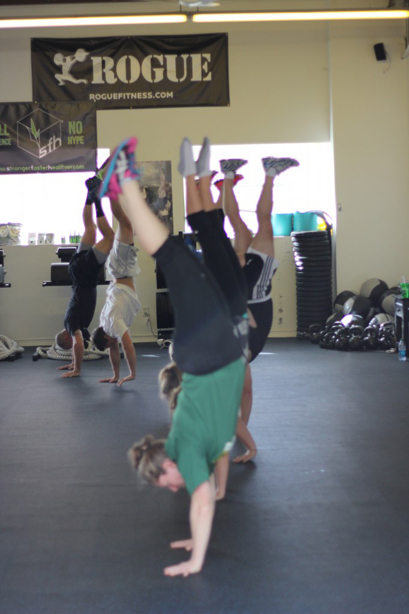 We worked on handstands for a while and then 3 rounds of 800m run, 20 situps and 30 pushups. Good times! Wednesday was Halloween; I stayed home to work on the decorations for the yard. Thursday was the best workout of the week; I showed up at noon and found out I was the only one. Nicole helped me progress with bar muscle ups, the we did a tiring WOD. 6 RFT of 250m row, 200m run, and 10 burpees. Nicole did it with me; I did not hang. I was happy with my time, though, because I kept a steady pace and did not stop, gasp for air, take a water break, or hurl during burpees. After class, we spent a few minutes on thrusters - Nicole pointed out that I was not racking the bar each rep, so I was tiring out my forearms. Good tip as I prepare for the next Fran (Nov. 16 at Craic).